Dear Readers, earlier this week I took a day off from work and went to Tate Modern to see their latest Turbine Hall installation. This massive space has been home to Olafur Eliasson’s sunset light-show, Carsten Holler’s metal tubular slides, and an enormous red trumpet by Anish Kapoor, which took up the entire hall. This time, however, the art-work is inspired by nature. 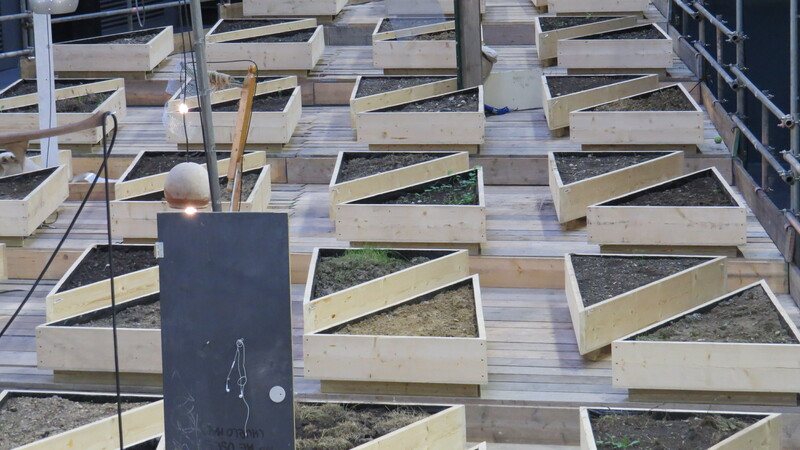 Called ‘Empty Lot’, it’s by Mexican artist Abraham Cruzvillegas and it consists of dozens of triangular wooden raised beds, each one filled with soil from a different part of London. There are lights positioned seeming randomly about the space, and each bed is watered regularly. 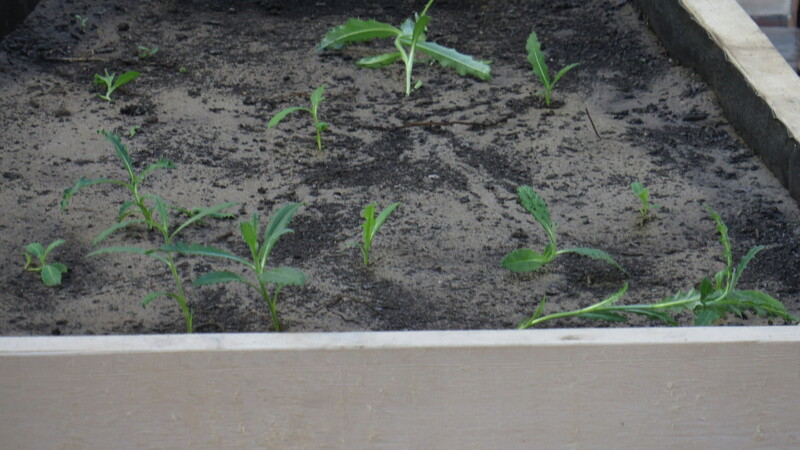 However, the beds are not planted: whatever grows there will have been in the soil already. It seemed like an interesting idea, though I was concerned about the time-scale – the installation went in on 6th October, and will be removed on 6th April. As many of the plants won’t come into growth until March, it feels like a lost opportunity. How much better it would have been if it had run from February to September, for example. Nonetheless, I was intrigued. When I entered the hall, I was disappointed. I had expected to be able to walk between the beds and see them up close. 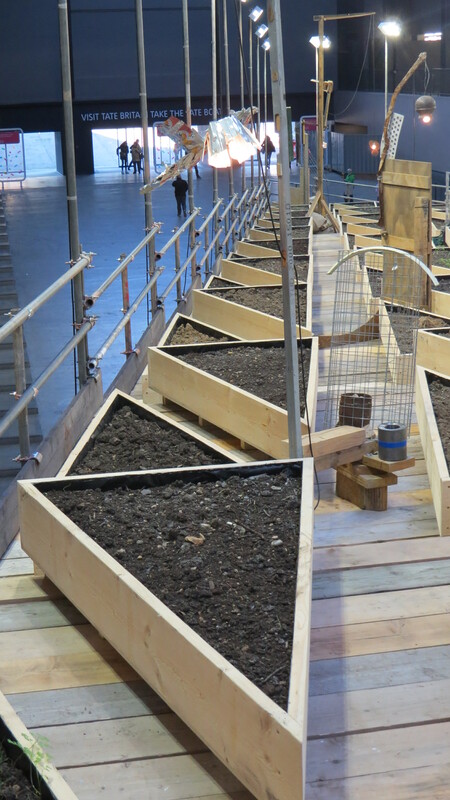 Instead, the beds are on scaffolding, so you can peer down on the ones that are nearest to the viewing platform, but can’t really see what’s happening in the ones that are furthest away. Furthermore, there is no way of telling which beds contain which soil. It would have been interesting to see if there was a difference between north and south London for example, or if the soil taken from industrial sites had different plants from those taken from parks and gardens. It would have been a chance for art and science to meet. 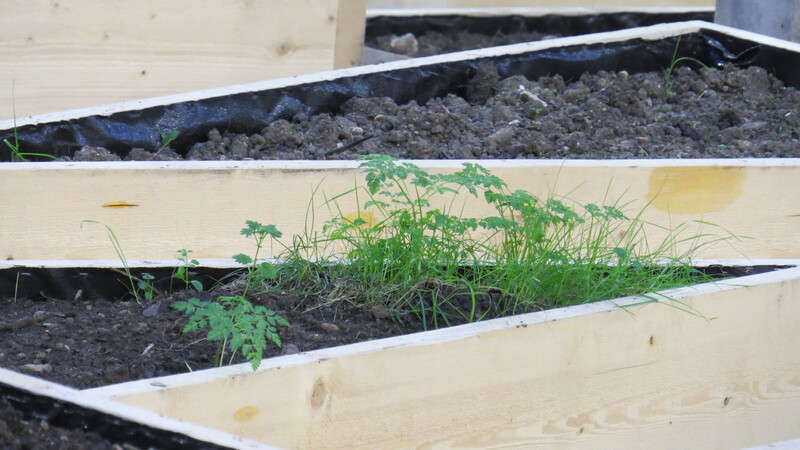 Instead, some of the beds have things growing in them, and some do not, and why this might be is anybody’s guess. I harrumphed to myself in best Bugwoman fashion, and almost just walked away. But then, I had a closer look. Already, some things are emerging. One bed is full of baby thistles.Several have stinging nettles. Some have grass. One bed is entirely full of what look like etiolated nasturtiums, their little round leaves balanced on stems as long as a giraffe’s neck. It’s clear that there isn’t enough light for some of the plants, and I imagine that these seedlings will collapse and die. 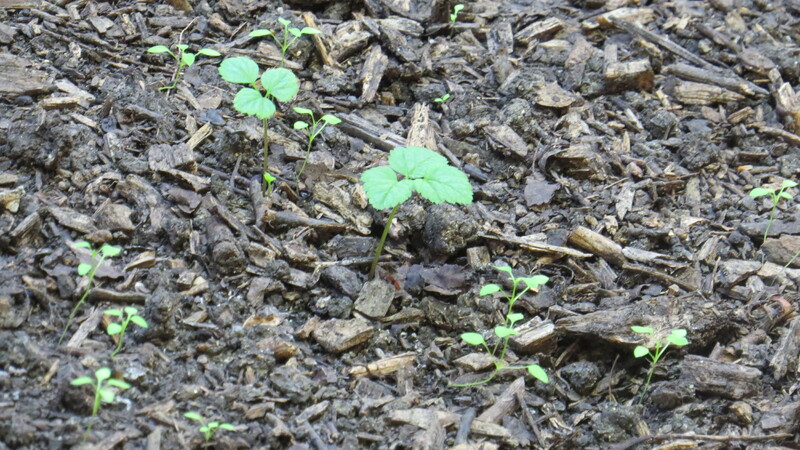 There were delicious leaves that looked like maidenhair fern emerging from one or two of the beds. Another looked as if it would be populated with willowherb. There was a conker in one bed, and a couple of partially munched apples in another, though whether the fruit had been brought in with the soil or tossed there by a viewer was unclear. Any ideas? Looks like maidenhair fern…. The colour and texture of the soil was also interesting. Some looked like unimproved London clay, claggy and cold. Some was the colour of dark chocolate, and was obviously much improved with compost and mulch. Some had dried out, with a silvery salty sheen on the surface. As with so many things, the more I looked, the more I noticed. So I suppose the question is, what does it all mean? Some might answer that art is in the eye of the beholder, who can attach whatever meaning they blooming (!) well want. The artist himself has said that we are all, as individuals, ‘empty lots’, where anything might grow or manifest itself. 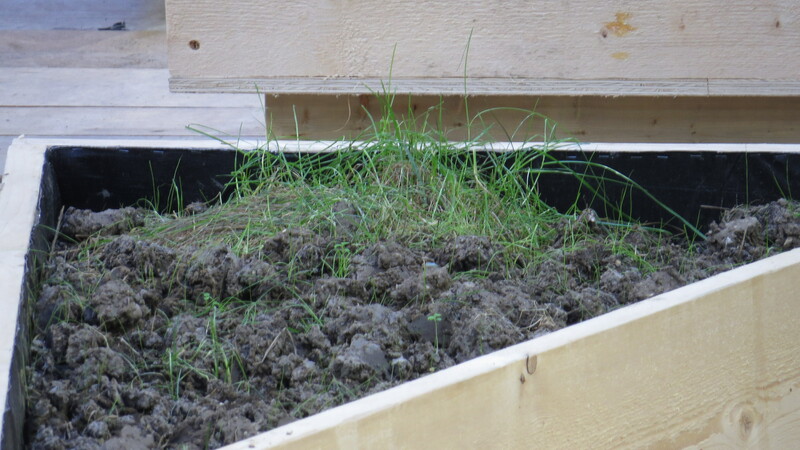 Someone else has mentioned that all the ‘exciting stuff’ in this installation is happening under the surface, as seeds sprout and mushrooms push their little heads up. But although I have frustrations with the work, for me it is a symbol of the sheer irrepressibility of life, which will appear regardless of location. I look forward to a return visit in the spring, to see what has popped up. 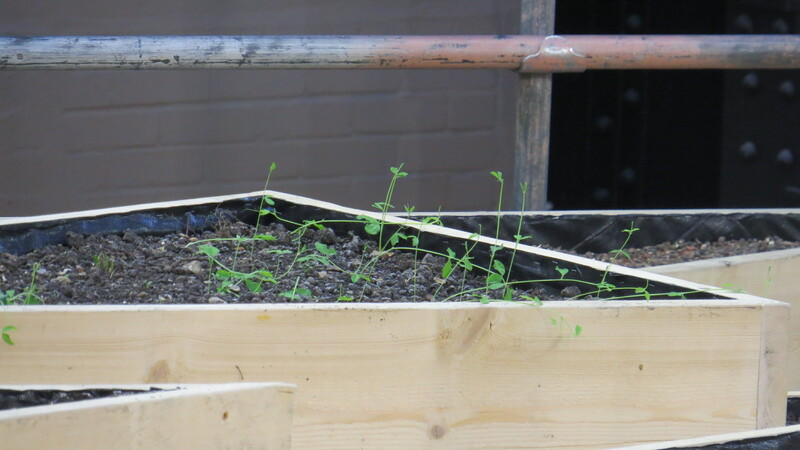 For all that there may be human interventions – I’m sure people won’t be able to resist seed-bombing the beds closest to the walkways – the real fun will be in seeing what nature herself can do in this unnatural situation. 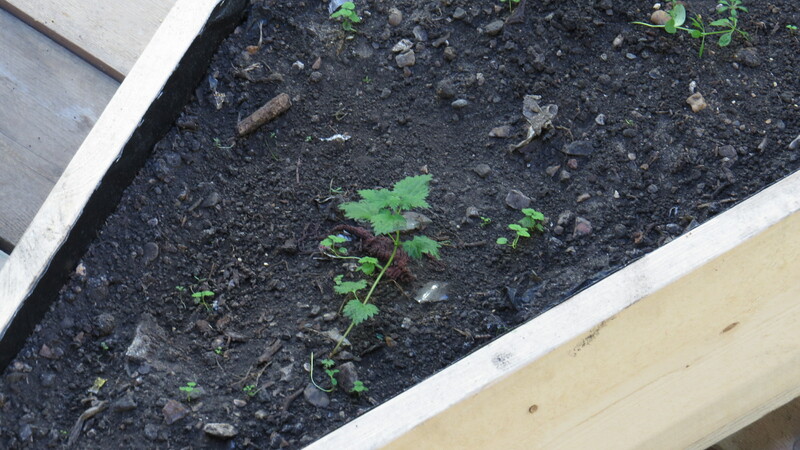 This entry was posted in Bugwoman on Location, London Places, London Plants on October 31, 2015 by Bug Woman. What a great idea I must go and see this installation…thanks for bringing it to our attention! Hi Anne, I think it will repay repeated visits – who knows what will have sprung up by the spring? interesting and you are right it should run for a longer time to allow the late spring bloomers to come into their own too. Maybe the Tate will let in go on longer if visitors point out this manko. Hi babogbeag, you know I think you’re right. I shall write to Tate Modern and ask if there’s any possibility of an extension, especially if the plants appear to be doing ok in a few months. I do confess to be worrying about the light levels, though. 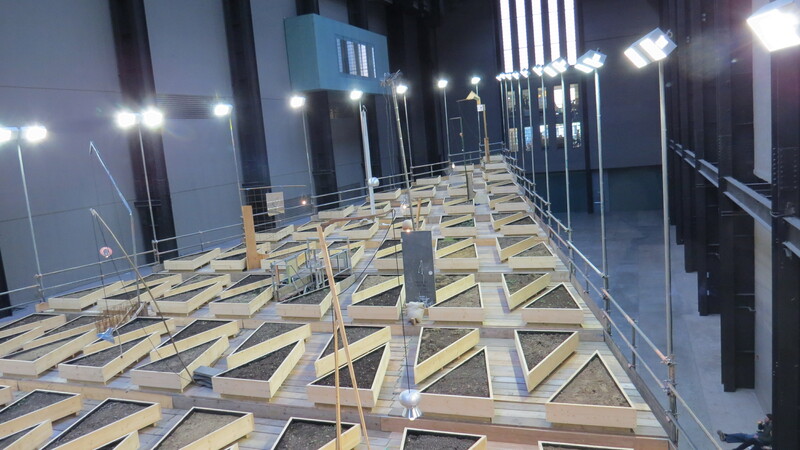 Most weeds thrive in blasted, open spaces rather than the dreary depths of the Turbine Hall…. Looks interesting. I’d also have liked to know which soils were from there. 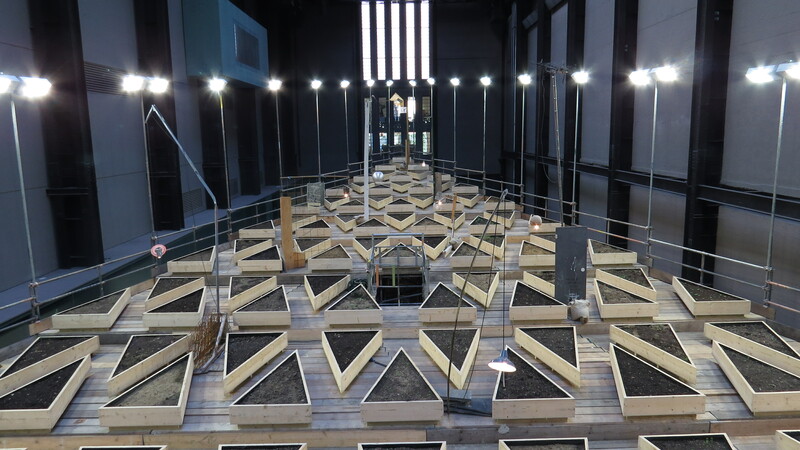 I wonder if it could be viewed as a manifestation in plants of the genius loci of London… Have you been back yet? Hi Lorna, yes, I revisited in (I think) March – if you search on ‘Tate’ you’ll find the later post. In short, though, I think it was a chance to do something really interesting and useful that was missed….